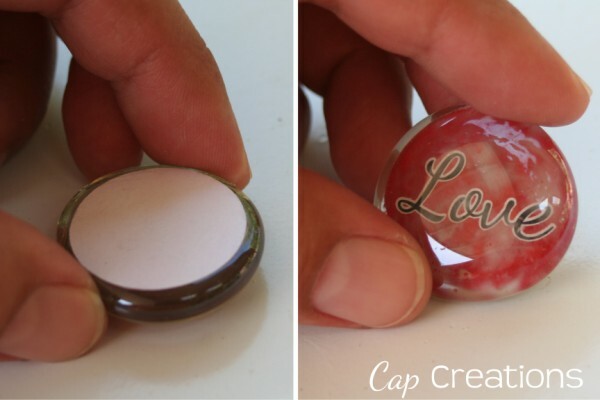 Here's a fun and simple project for custom or personalized magnets. 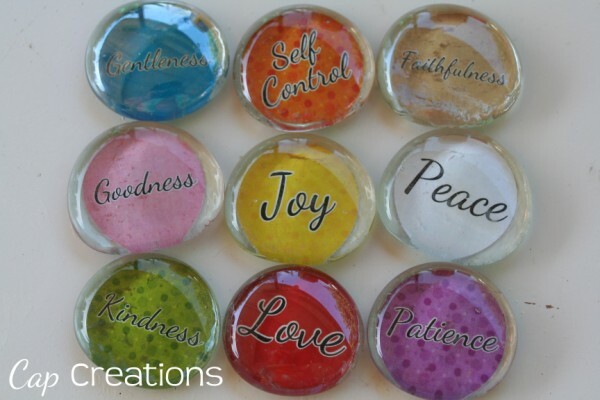 I will be using my Fruit of the Spirit printable to do this tutorial. Click here if you would like this printable and to find out more about our Fruit of the Spirit series. -printed Fruit or any other 1 inch design printed at a photo lab. A quick note about printing, in an earlier post I had mentioned printing your designs at a copy shop, however I would recommend having them done at a photo lab on photo paper. Regular paper is too thin and you will see the black magnet through the paper. 1. 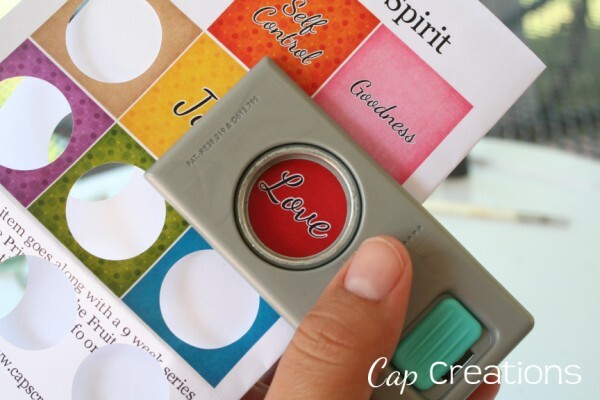 Punch your design out with a 1 inch circle punch. If you do not have a punch you can cut them with scissors just be sure they are about the size as your glass pebbles. 2. 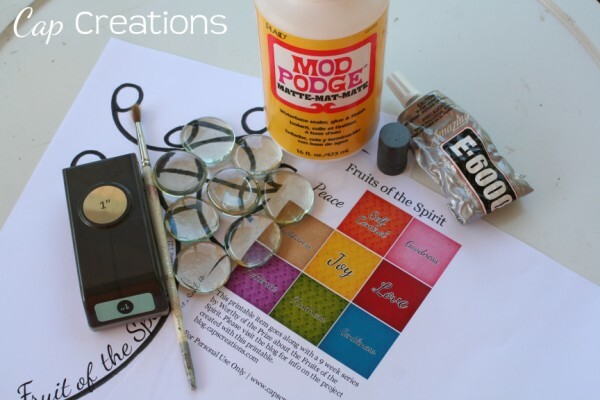 Put a coat of mod podge on the face/front of your design and stick it to the back/flat side of the glass pebble. 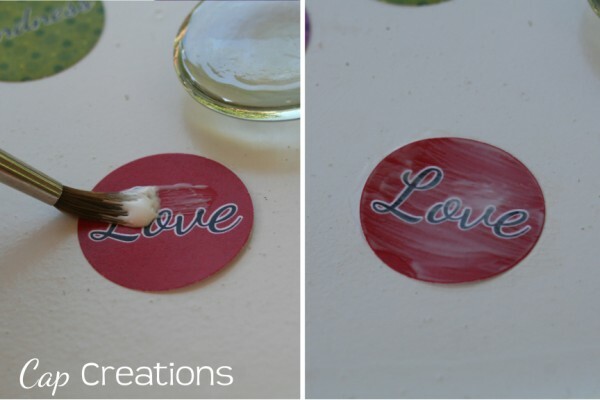 You will see the mod podge when wet but it will dry clear. 3. 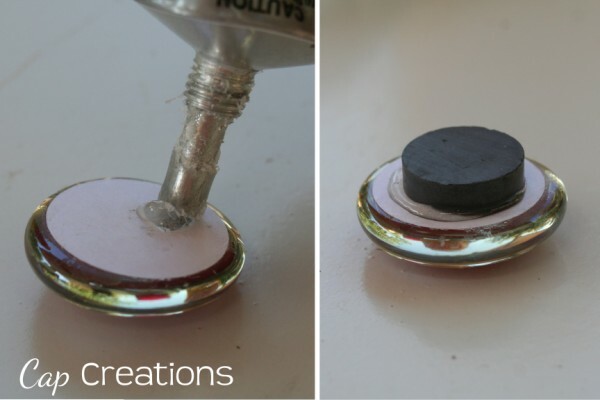 Place a dab of E600 on the back and attach a magnet and let dry. For each step you can do several at a time I find it easier that way. All done, once dry move them about wherever you please! 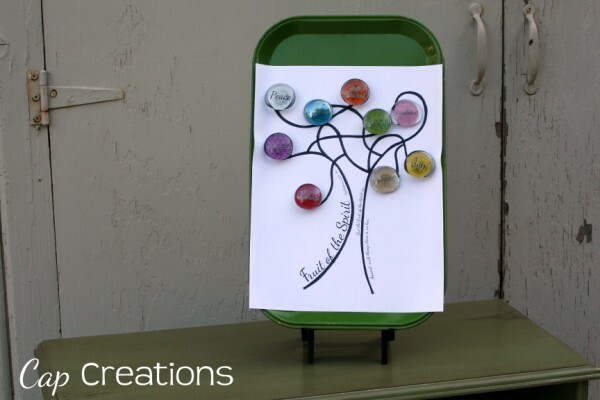 If you printed out the fruit tree you can place it on the fridge with your new fruit magnets. Or as pictured below I have placed it on a metal tray and set it up on an easel. Thanks for reading! Love these, be something fun to do with children.